We own an eminent identity of a supplier, trader and exporter of Designer Footwear. Our range of Footwear and Slippers is attained from the client-trusted manufacturers that ensure its quality in respect of design, durability, and performance. These Designer Footwear and Slippers are designed by the trained designers, having a sound knowledge of clients' requirements. We are a renowned Casual Footwear Trader that is trusted by the clients for meeting their distinct requirements of the clients in the nationwide markets. We offer an array of Casual Footwear that is designed with precision, aiming to provide the best quality footwear to the clients. To provide complete satisfaction to the clients, we make Casual Footwear available in varied sizes, colors, shapes, and designs. Offering a wide variety of Kids Footwear, we are involved in trading finest quality footwear in the nationwide markets. Making them available in varied sizes, designs, and patterns, our Kids Footwear are designed by the experts to match with the fun-loving nature of the kids. Due to which, our Kids Footwear have earned a huge popularity among the clients. Beautifully beaded with colorful handcrafted glass beads and sequins, our Beaded Slippers are liked by the clients for their elite look. These Beaded Slippers are also known for their comfortable and soft base that keeps your feet pain-free in the tired working hours. Besides this, our Beaded Slippers add styles in wearers'' persona while complementing its attire. Owning a trendy look, these Beaded Slippers go with Jeans, Long Skirts, Short Skirts Night Dresses, Gowns, and Cappries. We are the preeminent Ladies Party Wears Footwear Traders, offering a huge collection of Ladies Party-wear Footwear in the nationwide markets. Our Ladies Party-wear Foot wears are made, using best quality raw material by the experts at vendors'' place. 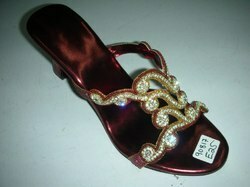 Our range of Ladies Party-wear Footwear includes variety of designs, patterns, colors, and sizes. 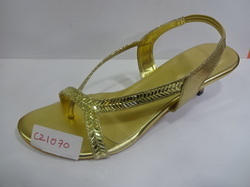 Exporter of a wide range of products which include ladies high heel footwear, high heel sandals and designer sandals. 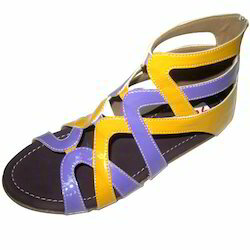 Prominent & Leading Exporter from Mumbai, we offer latest fancy sandals, ladies fancy sandals and fancy sandals. Leading Exporter of red designer sandals, designer sandals and black designer sandals from Mumbai. Providing you the best range of ladies sandals, party wear sandals and pink ladies sandals with effective & timely delivery. 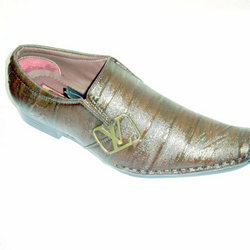 We are a leading Exporter of fancy designer boot and fancy boot from Mumbai, India. Providing you the best range of fancy jutti, designer juttis, fancy modern jutti and designer juttis for cultural events with effective & timely delivery. Providing you the best range of party wear shoes with effective & timely delivery. Leading Exporter of bridal foot wears for marriage party from Mumbai. Our range of products include ladies fancy sandals, ladies fancy chappal, ladies fancy high heels chappal, ladies fancy low heel chappal and ladies fancy belly. Our range of products include fancy blue loafers. 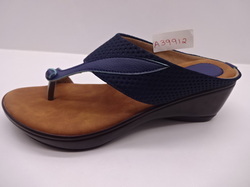 Leading Exporter of ladies pu chappal, ladies kolhapuri chappal, ladies comfort chappal, ladies casual loose heel chappal and ladies casual belly from Mumbai.